The 2017 Chevrolet Bolt EV Doesn't Look Terrible? GM has had a fraught relationship with electric cars, to put it politely. If we’re being impolite, because this is Jalopnik and we are terrible people, the GM EV1 and the plug-in hybrid Chevrolet Volt and Cadillac ELR were case studies in What Not To Do And Also This Is Bad. 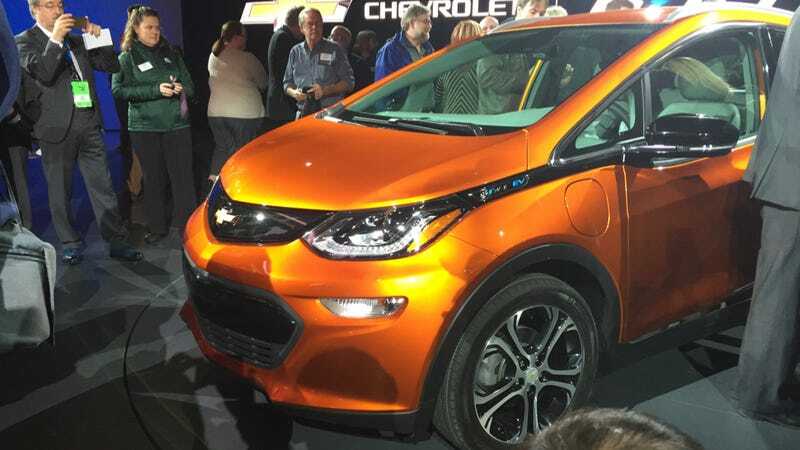 But GM’s first new electric vehicle in 20 years, the 2017 Chevrolet Bolt EV, actually doesn’t... look... terrible? Chevy is already claiming that the Bolt will go more than 200 miles on a charge, and it’ll cost around $30,000, and that despite looking like a weird unlovable city car in press photos and seeming tall as hell it won’t make you hate yourself thanks to its floor-mounted battery pack. I was skeptical, however. First of all, this is GM and an electric car, and secondly, it’s GM and an electric car. I don’t hate electric cars as a matter of blind principle, some of them are actually pretty great. But when a company is basically screaming “baby PLEASE! You know I can change! The first two times weren’t the real me! C’mon babe!!!!!!!! BAAAAAAABEE!!!!!! !” I don’t get very enthused. But after seeing it in person at the Detroit Auto Show, it actually doesn’t look like the worst thing in the world. Yes, I know my crappy phone photos are pure garbage, but trust me when I say that it basically looks like GM’s take on a BMW i3. And I like the i3, oddly enough. The Bolt doesn’t have funky space-cube design like the i3, but it actually sits a lot lower than I thought, and it’s a bit longer than the i3. The interior of the Bolt is clean and naturalistic-looking, with a big screen that Chevy says is bigger than an iPad, and a shifter-thingy that looks straight out of a BMW as well. 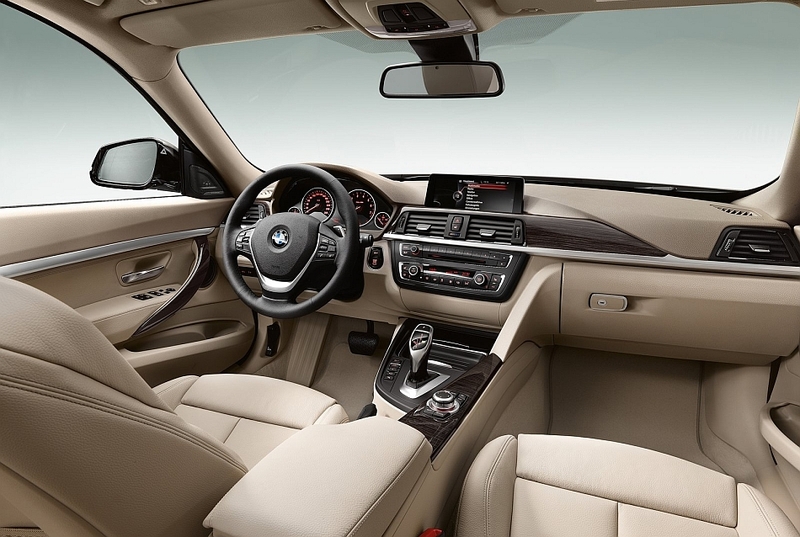 Obviously, it’s not all two-tone like the i3 can be, and it’s definitely more spartan. But it doesn’t look like the sort of place that would make you miserable. It’s another atrocious cell phone photo for which you have my infinite apologies, but in real life it looks like you can fit people there.